For many years Rudolf Arnheim, known as the leading psychologist of art, has been keeping notebooks in which to jot down observations, ideas, questions, and even (after a stay in Japan for a year) poems in the haiku pattern. Some of these notes found their way into his books—known and prized the world over—such as Art and Visual Perception, Visual Thinking, and The Power of the Center (see list below). Now he has selected, from the remaining riches of his notebooks, the items in this volume. The book will be a joy to ramble through for all lovers of Arnheim's work, and indeed for anyone who shares Arnheim's contagious interest in the order that lies behind art, nature, and human life. It is a seedbed of ideas and observations in his special fields of psychology and the arts. 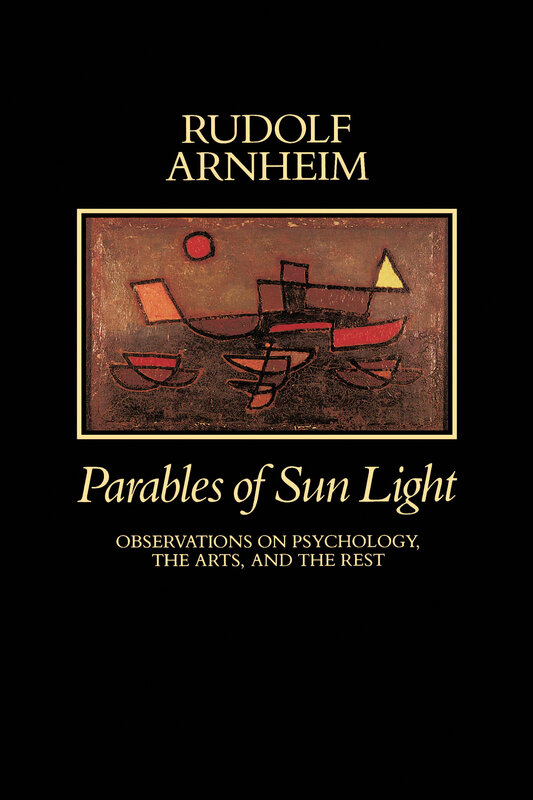 "I have avoided mere images and I have avoided mere thoughts," says Arnheim in the Introduction, "but whenever an episode observed or a striking sentence read yielded a piece of insight I had not met before, I wrote it down and preserved it." There are also glimpses of his personal life—his wife, his cats, his students, his neighbors and colleagues. He is always concrete, in the manner that has become his trademark, often witty, and sometimes a bit wicked. In the blend of life and thought caught in these jottings, psychology and the arts are of course prominent. But philosophy, religion, and the natural sciences add to the medley of topics—always addressed in a way to sharpen the senses of the reader who, sharing Arnheim's cue from Dylan Thomas, may accompany him through "the parables of sun light and the legends of the green chapels and the twice told fields of childhood." 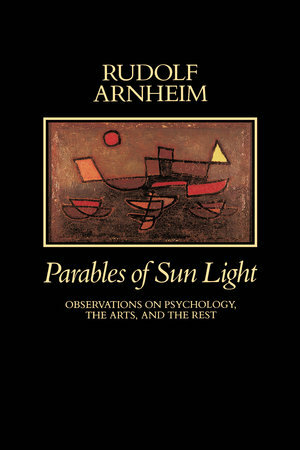 All of Rudolf Arnheim's books have been published by the University of California Press.